What would happen if the Angel of the North was sold at auction? The steel statue is 20m (66ft) tall, with wings measuring 54m (177ft) across. It cost £800,000 to build and was mostly funded by The National Lottery – which may shock some of the tax payers who initially protested the project! It might surprise you that the Angel of the North was not very expensive to build. In fact, numerous maquettes (or mini-versions) of the Angel of the North have been sold at auction for more than it cost to build. Twelve maquettes in total were created. One of the maquettes owned by Gateshead Council was the most valuable item ever appraised on BBC’s Antiques Roadshow at £1million in 2008. 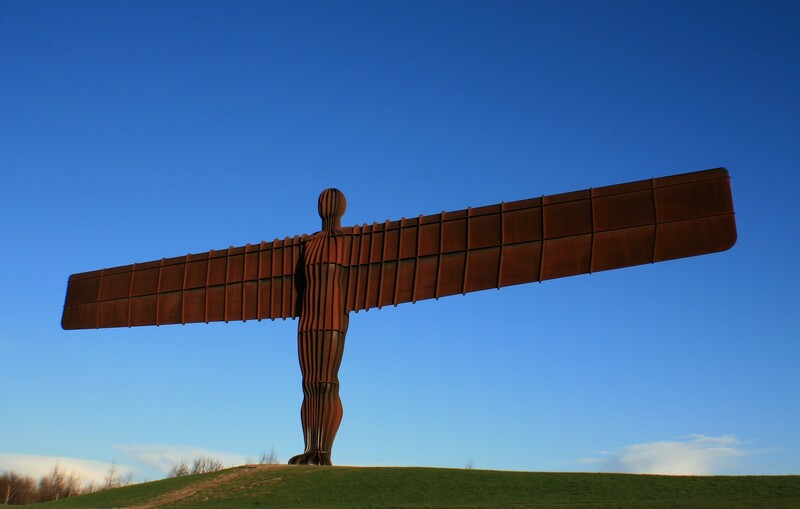 In April 2018, a 1-metre high bronze replica with a wing-span of 2.6 metres produced during development by sculptor Antony Gormley was sold at auction. This particular sculpture was signed with Mr Gormley’s initials. It was listed from a private collection in the USA. The maquette was initially predicted to sell for between £1.5m and £2m at auction. Instead, it fetched £2.8million. In 2008, a life-size model from which the sculpture was created was sold at auction for £2.28 million. The highest selling maquette was sold by German fashion designer Wolfgang Joop. It sold at auction for over £3.4million! So how much would the Angel of the North itself sell for at auction? The value of the Angel of the North depends on what intents and purposes it is being auctioned for. For example, if it were to be valued for insurance purposes, with the aim to restore it if the artwork was damaged or destroyed (i.e. if a plane hit it) it would likely be valued at around £500,000. If it were to be put up for sale, however, it could be anywhere around £200 million! It would be interesting to see what would happen: the most expensive sculpture ever sold at auction was $141.3million. John Bullock-Anderson has been with Anderson and Garland for over 40 years, since the age of 17. He has overseen the selling of some major collections over the years, including the Jacobson Collection and the Heppe Collection. He has handled valuations for everything from children’s toys to Kurt Schwitters' Merz Barn Wall! John is part of an expert valuations team at Anderson and Garland auctioneers, who boast over 200 years’ experience collectively.